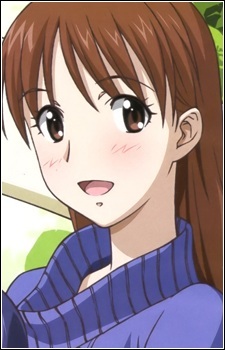 Hibino is an attractive young woman who attends the same university as Kyohei, who has a longtime crush on her, but is unaware of her own feelings for him. She was asked in date by many of their male collegemates, but declined all of them. Despite her father came from the same village as Kyohei's family, she never knew about its secrets until he invited Kyohei (whose apartment was destroyed) and Utao to live with them. According to Aki, Kyohei's affection for her is because Hibino resembles their former teacher.